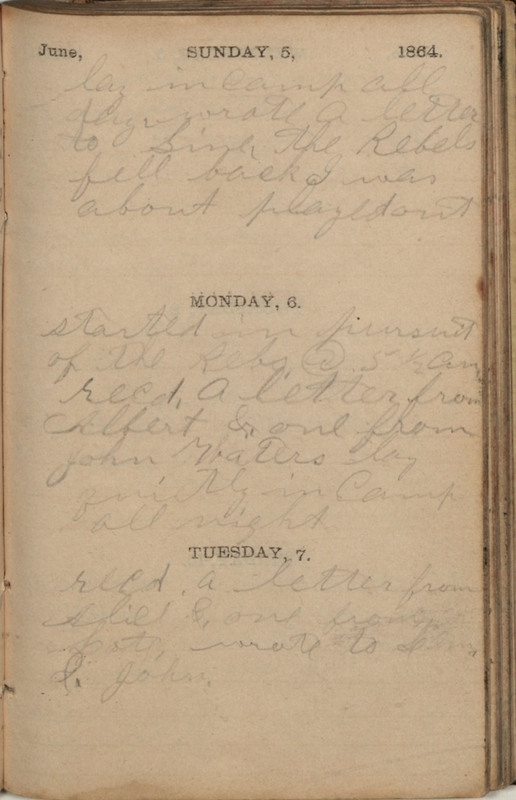 June, SUNDAY, 5, 1864. lay in Camp all day wrote a letter to Gine, the Rebels fell back I was about played out MONDAY, 6. started in pursuit of the Rebs, @ 5 1/2 AM recd. a letter from Albert & one from John Waters lay quietly in Camp all night TUESDAY, 7. recd. a letter from Alice & one from Scot, wrote to [Lean.?] &. John.